North East Lincolnshire Council is supporting the White Ribbon Campaign- a national movement aiming to stop domestic abuse against women. Domestic abuse in the UK affects about 1.2 million women every year, costing the country’s economy £36.7 billion. 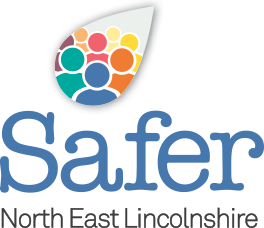 In 2014/15 in North East Lincolnshire, there were 4,205 reported incidents of domestic abuse. The campaign encourages men to take a share of the responsibility by condemning abuse against women. Men can show their support by the wearing of a white ribbon, or by becoming a White Ribbon ambassador. The Council is recruiting ambassadors across the borough, with the aim of raising awareness of the White Ribbon campaign through work places and local communities. Councillor Jane Hyldon-King, portfolio holder for health and well-being, said: “Domestic abuse accounts for over 30% of all violent crime in North East Lincolnshire, so this is a very real issue that is affecting a lot of people. White ribbons are available for a donation from the reception of the Grimsby Municipal Offices, Cleethorpes Civic Offices, and all family hubs. If you are experiencing domestic abuse or are worried about someone that may be experiencing domestic abuse, contact Women’s Aid on 01472 575757 or their male victim helpline on 01472 588888. To find out more about the White Ribbon campaign, visit http://www.whiteribboncampaign.co.uk/.